The Smith and Wesson Bodyguard 380 is a compact, lightweight semi-automatic pistol. Designed for lawful concealed carry, the Bodyguard 380 features a built-in laser aiming aid. Chambered for the .380 caliber cartridge, the Bodyguard 380 is a rugged, reliable firearm that provides six rounds in the magazine plus one in the chamber. The improved integrated Crimson Trace laser allows the shooter to quickly acquire a target and accurately place shots. 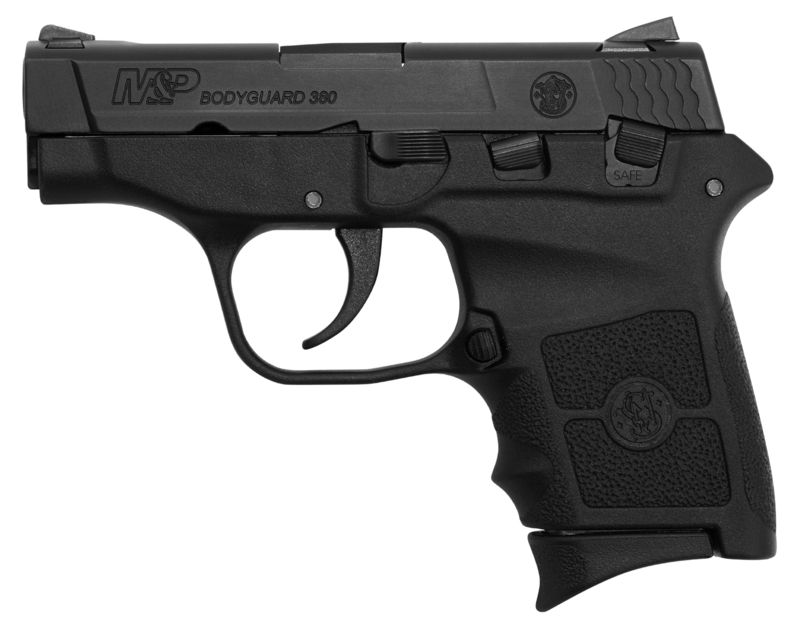 Smith & Wesson has also introduced the Bodyguard .380 without a laser. This retails for a lower price while maintaining the manual thumb safety and last round slide stop.